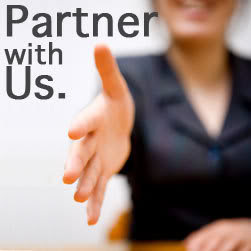 Hello friends, you are tuned into the online review station of Just Panjabi at our seamless frequency (IP address) 216.239.34.21. Time in our studio clock at this moment is…, leave it, you can check the time in the right bottom corner of your PC/laptop as we are unable to hack your cookies at the moment. As we can’t afford Ameen Siyani Ji to host our review-mala and even we don’t get sponsors because we write so fairly that film companies does not include us in the promotional budget, so sorry for the interruption and we take you to our correspondent for the review of a film full of interruptions, over to the correspondent. Phew!!! 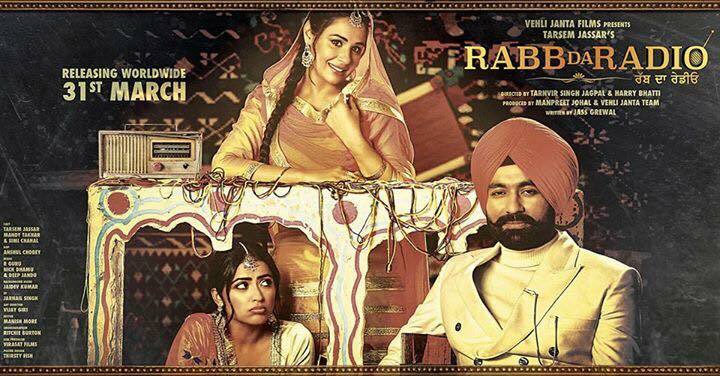 Set in Punjab of 80s, Rabb Da Radio (RDR) moves the retro Punjab theme trend forward. Its core element is nobility of heart. After Aardas this is another film which takes a spiritual route to reconnect the humans to its roots. The slogan ‘heart is the radio station of God’ is the essence of the film. Eldest daughter of a mediocre farmer Guddi (Simmi Chahal) is an innocent, bubbly and happy go lucky kind of a girl who is full of life. Even after ancestral division she has a soft corner for her extended family, especially cousins. One fine day Manjinder (Tarsem Jassar), son of a retired officer and philanthropist, stumbles upon her at a wedding function and falls for her instantly. Illiterate Guddi, busy in her routine household chores, is unaware about the unsuccessful efforts by Manjinder to marry her through his family connections. Manjinder get’s a new hope when his distant cousin Naseeb (Mandy Takhar) gets married to Guddi’s cousin Deepa, but under the pressure of her tyrant mother in law (Anita Devgan) Naseeb refuses to help him. Will Naseeb succumb to her mother in law’s family envy, ego and totalitarianism? Will Guddi be successful to reunite tormented elders and extended family living across the thin but strong wall in between a huge home, apart from marrying Manjinder? How everyone’s Rabb Da Radio will catch the right frequency to get tuned into the program of humanity? The story revolves around these basic questions. Writer Jass Grewal, after giving two major breakthroughs Jatt James Bond and Bambukat based on the typical rural backdrop, once again comes up with another story connected to Punjabi roots. After Bambukat he again chooses to weave a story set in retro Punjab. His characterization is excellent and the plot is realistic. The weakest point of RDR is its narrative, which was the strongest part of Grewal’s previous two offerings. He has worked hard on characters detailing, their atmosphere and their complex interconnections, but completely shunned away from writing well knitted engaging and entertaining scenes. This turns the journey of RDR into a walk on the treadmill. The story takes shape only in the last thirty minutes and after this it’s a roller coaster ride of emotions and relationships, but first ninety minutes remain unbearable yawning spree. Nonetheless, debutante director duo Tanvir Singh Jagpal and Harry Bhatti, takes you to picturesque journey of retro Punjab. In their very first film they have set their benchmark technically high. They have dared to adapt Prakash Mehra’s style of film making where the hero is introduced from toe to head with a hard-hitting opening act and a sweeping first dialogue. Anshul Chobey’s every frame is a work of art. While watching RDR you feel like visiting a museum of Punjabi culture and heritage. Unfortunately, this profound body of art lacks equating soul. The climax is the strongest part of the film. Hard hitting melodramatic act achieves the peak of emotional outrage and resolves the crisis with befitting outcome, which is believable with a message you would love to take back home. Film touches topics like discrimination with girls for the want of male child, envy versus humanity and inspires you to listen to your heart in tricky situations. Their work for detailing is really amazing. In the opening scene when Guddi enters her Aunt’s home and asks to tie a rakhdi (raakhi) to his cousins, Deepa stops the toka (manual fodder cutter) for a moment to seek approval of her mother, but as soon as she refuses to entertain Guddi, toka keeps on rolling showing a silent indifference and hopelessness. In the recent past of Punjabi cinema, RDR is the only film in which female characters take the strongest lead and male protagonist takes a back seat. Though, in Grewal’s previous films female leads do have meaty roles, but for the first time ladies hold the batten in RDR. Simi Chahal’s flawless act spices up the otherwise dull narrative. For the first time Mandy Takhar makes her presence felt with her strong expressions and body language. Anita Devgan, as an antagonist, delivers such a remarkable act that you will love to hate her. Nirmal Rishi, even in her 80’s from her first very famous cunning Gulabo Massi role to RDR’s character of pacifier Massi, still steals the show. A little moppet churning out ‘vidya prayi di soh, main tee tee ni wajayi’ (I swear on my wisdom that I have not blown the horn) is adorable. Anita Meet is perfect as Guddi’s mother. Even then all these female characters play within the periphery of patriarchal dogmas. They come up with their stereotypical attributes designed by a male point of view. For example, male protagonist Manjinder is naturally embedded with Rabb DA radio kind of heart and when everyone is against him, including his parents and best friend, he without any external support knows he is right. On the other hand, Naseeb, even after knowing she is not wrong in the very beginning, she needs the inspiration from her mother’s preachy lecture as well a humiliating jolt by Manjinder to challenge her conscience. Third in the row, after Diljit Dosanjh and Ammy Virk, the turbaned singers turned actors, another turbaned singer Tarsem Jassar joins the league with RDR. He dares to choose a film for his debut in which his character is on the backseat. He looks ethnically macho on screen and almost fits in the smaller share of screen space he gets. Knowing his limitations directors has given him few dialogues which he delivers with firmness minus expressions. He can be promising star of the future. All the supporting cast is appropriate. Another let down is RDR’s music. Only title song is the saving grace with the soulful voice by Sharry Mann and poetic lyrics by Jass Grewal. Even, evergreen melodious romantic song Das Mereya Dilbara sung by Mohammad Rafi and Asha Bhonsle is forced and adds up only the length. Other songs are just passable. Vijay Giri deserves a special applause for commendable art direction. Japneet Kaur Dhingra and Pawan Shergill’s costumes add flavor to the artwork. Manish More has a little room for crispier editing. If you are still not bored about revisiting and getting nostalgic about old Punjab you can go for RDR and you might like the visual treat, apart from an innocent love story plus a nice message to take home.